© Tony Hyman, all rights reserved. THE AMERICAN CARD CATALOG published in 1960. 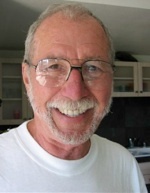 Some helpful information came from Gerard Petrone’s 1996 THE GREAT SEDUCTION. 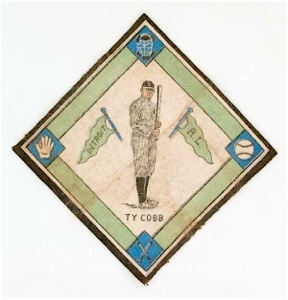 Unless otherwise noted, all items pictured are in the NCM collection. 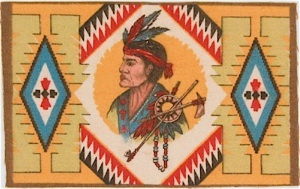 In addition to flags, rugs, and pseudo native American patterns, flannel designs include butterflies, college seals, college pennants, college athletes, soldiers, domestic pets, nursery rhymes and wild animals. 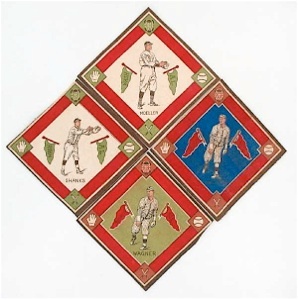 Some of these sets are small, with only five known designs. All are scarce to very rare. 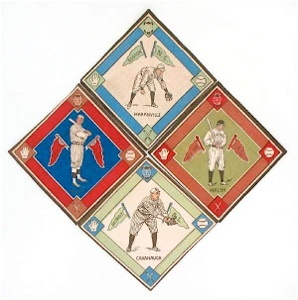 Flags are most common, Indian blankets and butterflies the prettiest, but baseball players are the most sought after thanks to the highly competitive world of sports collecting. 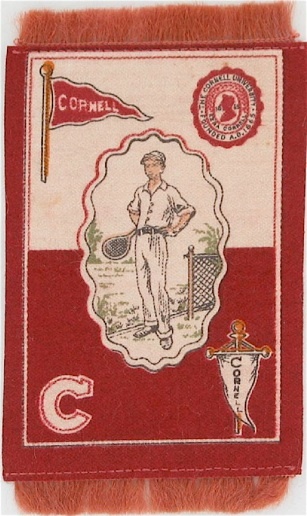 Ninety different players, each in at least two color combinations have been reported in Volume III of THE WORLD INDEX. 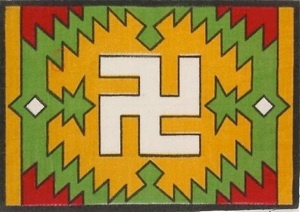 The pseudo native American patterns were also printed in many different color combinations. 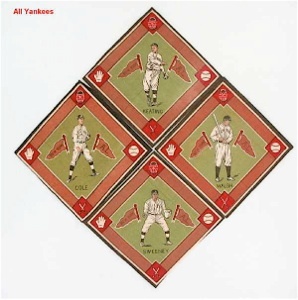 make for a popular collectible. 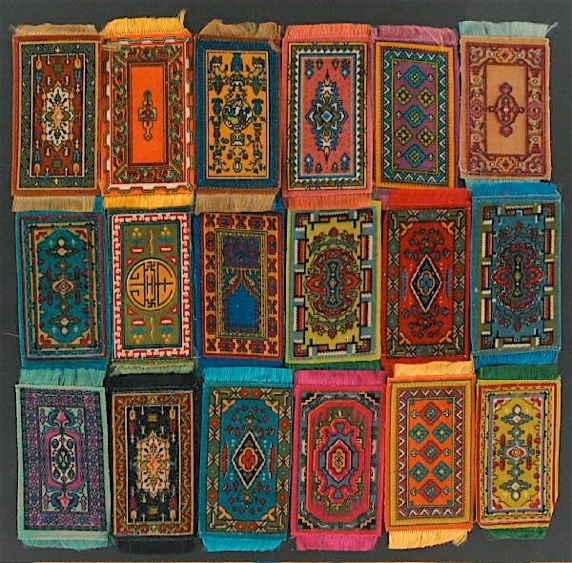 THE AMERICAN CARD CATALOG identified 18 different varieties of Indian and Oriental rugs, with and without fringe. 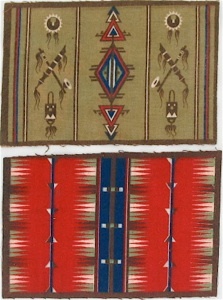 The second from the left is woven silk which the Catalog included with flannels but most collectors include with satins. It could be classified either way. It’s easy to see why these are popular with little girls who put them in dollhouses. Two examples of valueless flannels. Both have gotten wet. The bottom one has faded from exposure to the sun. identified 14 sets with 20+ different borders. One of those sets included more than 700 different while another neared 200. None came in more variations than the U.S. flag. 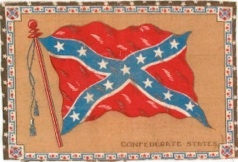 The Confederate flag, on the other hand, is seldom found in the 8” x 12” size. 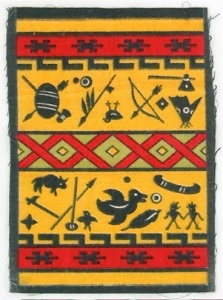 • Most of these are not ‘felts’ as they are not made of felt, but flannel. 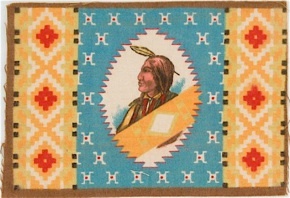 the 1st patterns were Indian blankets. • Their name today is ‘blankets’ or ‘flannels’ to distinguish them from satins. 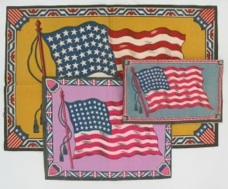 • Three patterns predominate: flags, rugs and everything else. 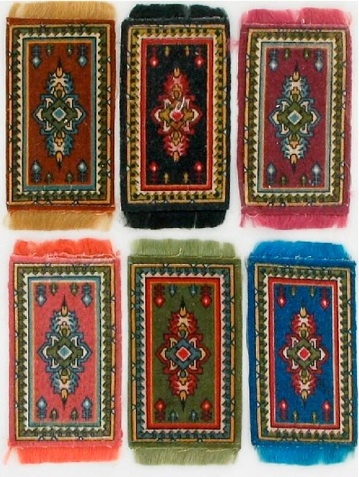 • Thousands of variations in color, size and design exist. 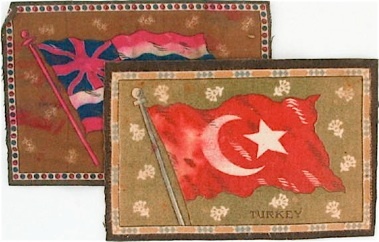 • The largest flag is 30” while the largest rug is 28 ½” long. • Almost all were made between 1910 and 1915. 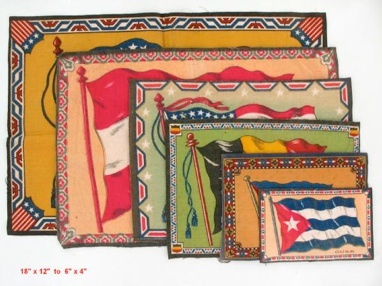 • A few were inserted into packages of cigarettes and small cigars. • Some were wrapped outside a package, secured by a paper band. • Most were premiums, exchanged for coupons found in various products. 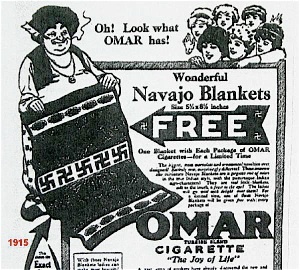 • No evidence exists they were ever packed in cigar boxes. That’s a myth. 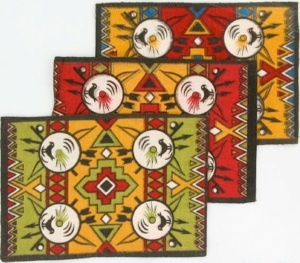 • Women were encouraged to make blankets and coverlets from them. • The dyes run easily. A single drop of water can make one valueless. • Dirty or damaged flannels have no value. 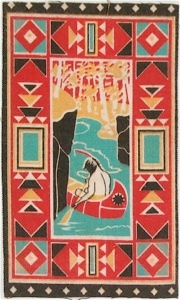 Ads offering rugs are rarer than the rugs themselves. 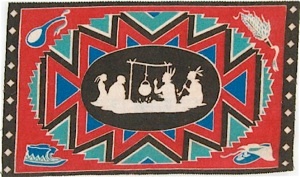 This 1915 women’s magazine ad is offering 5.5” x 8.5” rugs like those you see in this exhibit. If you have any ad, please contact me so I can either purchase or copy it for Museum visitors. 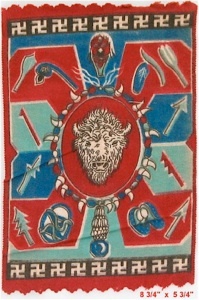 Clearly marked rugs like those below are uncommon, though some companies were more conscientious than others. 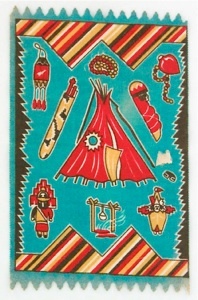 Most were given by Egyptian tobacco blend cigarettes. seriously affects value, making common ones worthless. 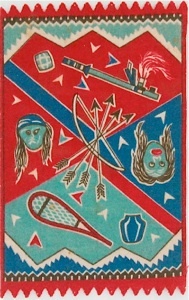 Fifteen colleges are represented with nine sports each for a total of 135. 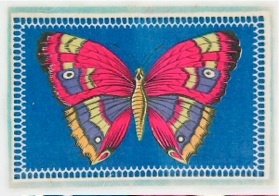 About 50 butterflies are known, each with 4 different colored backgrounds. Pretty, but fanciful, they have no counterpart in nature. 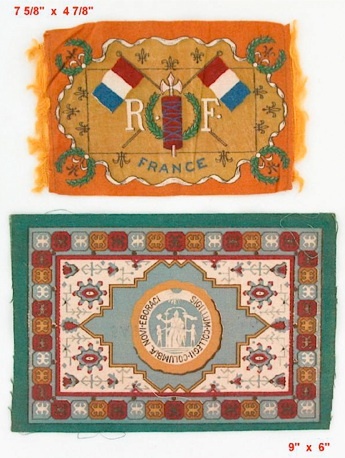 Only 10 countries are known in the rare set of fringed national flags. 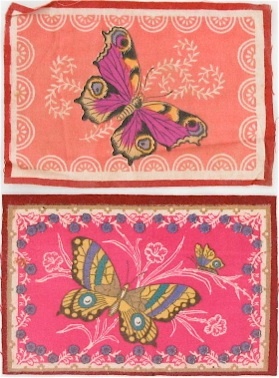 The Museum collection of Indian rugs and patterns substantially improved courtesy of Dawn Natale, Pismo Beach, CA, who has also contributed butterflies seen below. 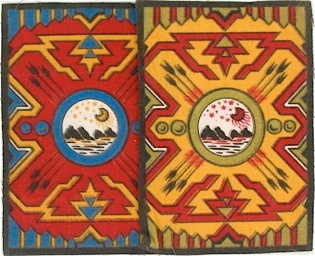 These pelts are also part of this large set of hundreds of different Indian patterns. 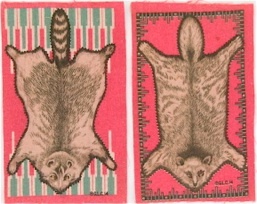 Pelts are rare but not especially popular. 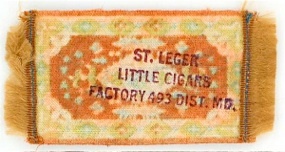 Rugs to the left and the bottom two rows above were given away by ST. LEGER little cigars. 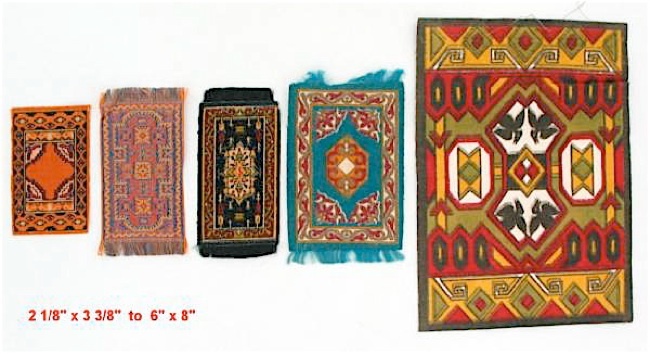 The six (left) are the same pattern, but distinctly different colors, typical of both Oriental and Indian rugs. 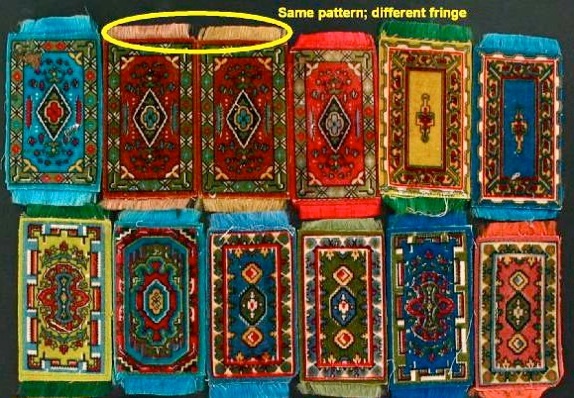 Patterns and their variety have never been completely cataloged, making a huge challenge for a collector seeking every possible combination.